Observu has long enabled you to view uptime over past 24 hours, 30 days and year. As well as view day-by-day uptime over the past week, month, quarter or year. However we were missing a month-by-month report of uptime to see more general trends. We’ve listened to our client feedback and added a new monthly summary report to the ‘Uptime Reports’ page of your monitors. 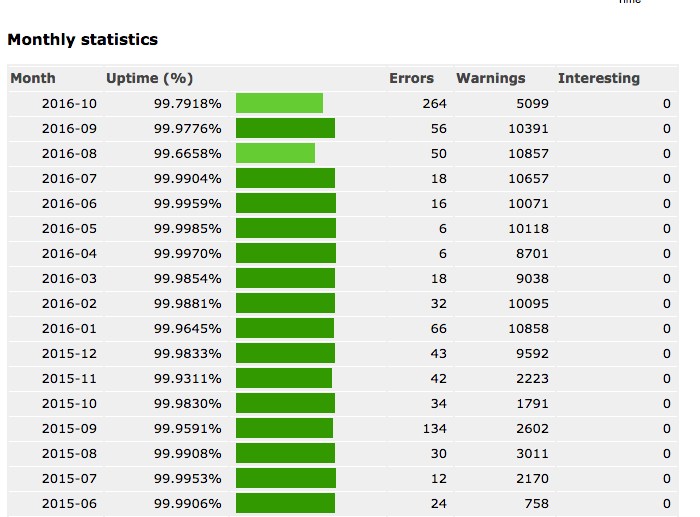 We are also working to add more advanced uptime statistics to other reports. If you have any suggestions on stats you would like to see, please let us know.